A man crashed this SUV into the Los Altos Hills fire station at 12355 El Monte Road near Foothill College. Photo courtesy of the Santa Clara County Fire Department. 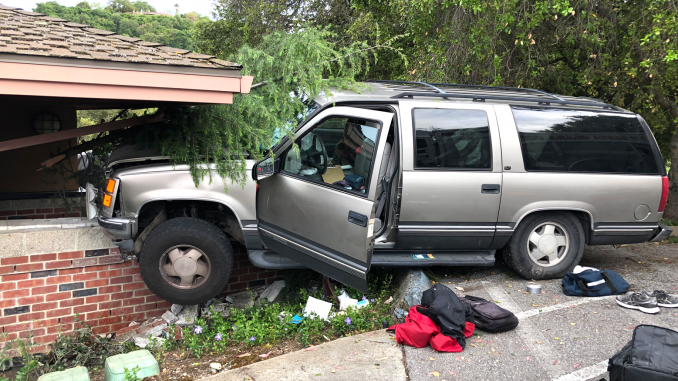 An elderly man is in serious condition after he crashed his SUV into a wall attached to a fire station in Los Altos Hills, according to the Santa Clara County Fire Department. 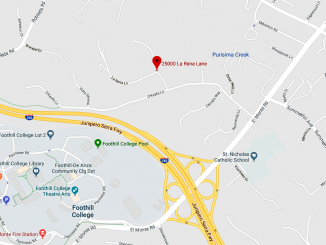 At 6:01 p.m. Monday (April 8), firefighters at the El Monte station at 12355 El Monte Road at the Foothill College campus heard a crash outside of the station and went outside to find a car had crashed into a masonry wall, fire officials said. 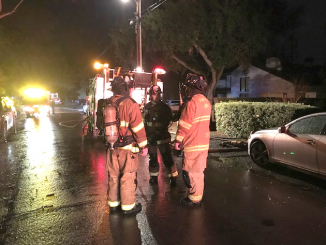 The man was taken to Stanford Hospital in serious condition, and investigators did not immediately know whether he had a medical emergency prior to the crash or if his condition is a result of the crash, according to the fire department. His exact age wasn’t given though he was described as elderly. 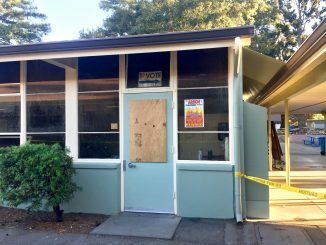 The fire station did not have any structural damage as a result of the crash. An update on the man’s condition as of this morning was not available.